Wait Till Next Year (1997) by Doris Kearns Goodwin. 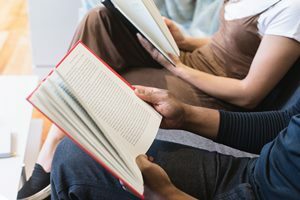 Join the Tuesday Morning Book Group in discussing a diverse selection of fiction and nonfiction. Reap the benefits of others’ insights and experiences as they apply to the stories.